The AppsFlyer Payments Page provides you with an easy method to both enter your payment and billing details and to view the current status of your account. To enter the Payment Page click on your account name at the top right-hand corner and select Payments from the drop-down menu. 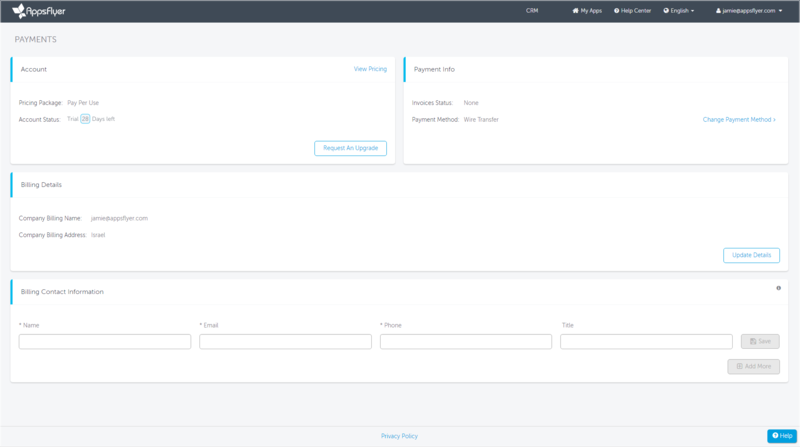 In this section you can view your pricing package and the status of the account. Accounts during their free trial are shown how much time is left before the completion of the trial period. You can also choose to activate your account or upgrade your current plan. When you click Activate Account you are prompted to enter your payment info. You can continue to enjoy your trial period after account activation. 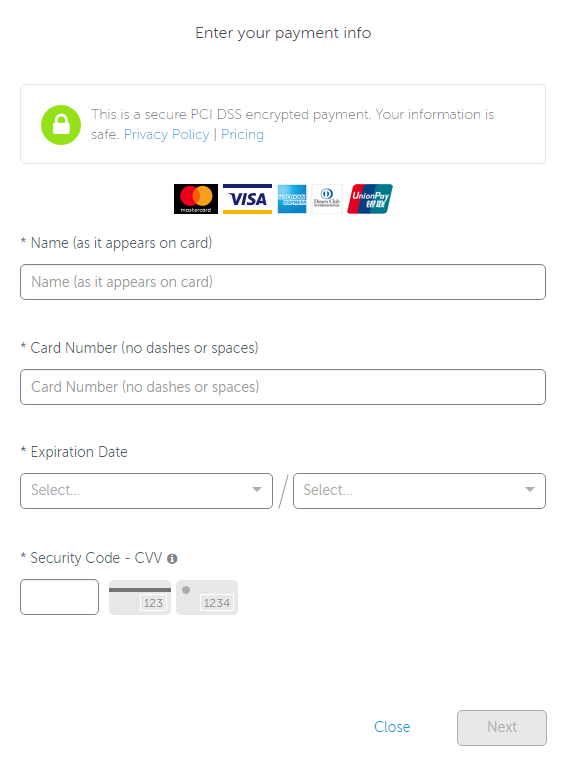 In this section you can add details of your credit card. Click Add Credit Card or Change Payment Method to complete the details of your payment method. Once you have entered your details, the Payment Info section is updated with your details. If you have no outstanding invoices, the status is indicated as Paid. 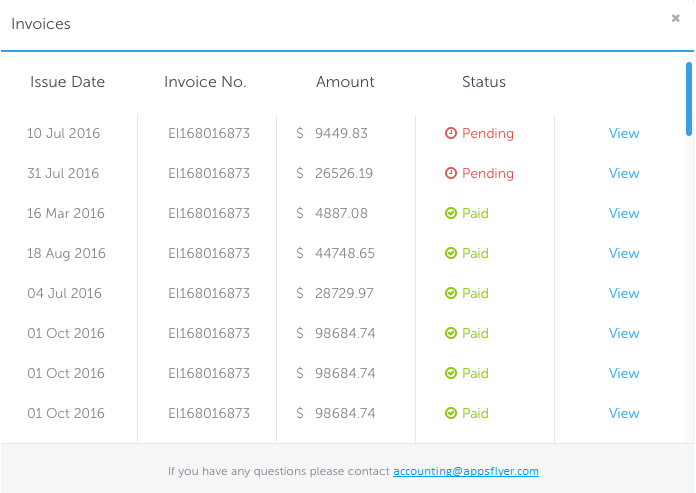 Click View Invoices to view the invoice payment status. In this section, enter the company address that will appear on the invoice. Enter the company name of to appear on the invoice. In certain countries you are prompted to enter a VAT (Value Added Tax) company identification number. In this section add the name of the person to whom the invoice is to be sent. These details should also include their email address, phone number and title. You can add more than one person to this section. Once you have completed all the fields, click Save to store all of the details.